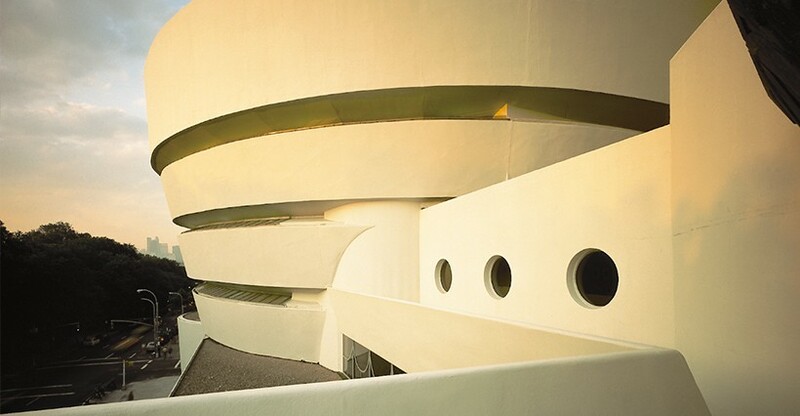 Be inspired by art & design at the Guggenheim! The Solomon R. Guggenheim Museum is an internationally renowned art museum and architectural icon. 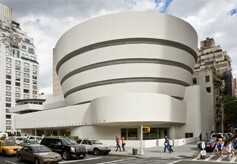 The building itself, designed by Frank Lloyd Wright, is a significant component of the Guggenhein experience! The museum is the heart of a larger network of international museums. It’s home to famous works of Impressionist, Modern and Contemporary art. From the outside, the Guggenheim looks like a large white sea shell sculpture. Once inside, most people take the elevator to the uppermost rotunda to start their tour and work their way down the building’s spiraling ramp gallery. The current building also includes a tower annex where several of the museum’s smaller exhibitions reside. While exhibitions and the collection on display are revolving, you’ll always see works by the masters of Non-Objective art. Some famous pieces include Pablo Picasso’s Woman with Yellow Hair and Marc Chagall’s Paris Through the Window. Other renowned artists featured include Van Gogh, Cezanne, Kandinsky, Klee, Manet, Leger and many others! The Guggenheim is truly a unique art museum. Unlike most institutions of its kind, the Guggenheim doesn’t divide up its galleries based on mediums or eras. Instead, the collection is meant to be viewed as a whole. But don’t worry - you won’t have trouble finding your way to exhibitions or artists you’re most interested in! Plenty of guides are scattered throughout, and audio tours are always available. Two guided tours are also offered daily. Art lovers as well as those simply moved by culture and innovation will love this one-of-a-kind institute. 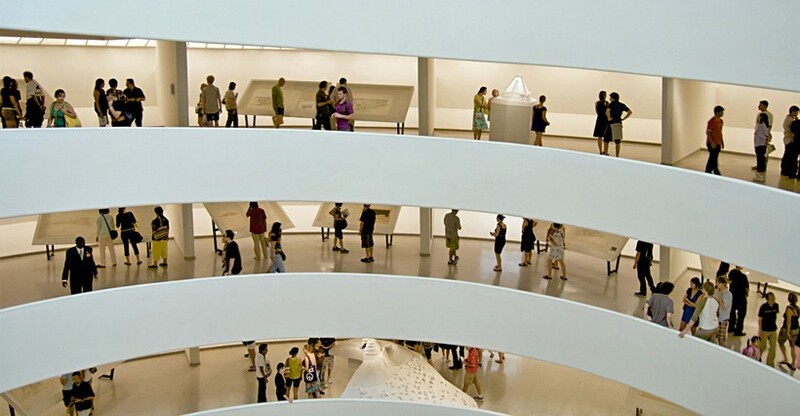 Add the Guggenheim to your NYC itinerary to enhance your trip! The museum will be closed on May 23rd, Thanksgiving Day, and December 25th.